Akenten is a player with a lot of upside and his best days are surely ahead of him. A long, athletic wing, Akenten can rise and fire over the defense with a good-looking stroke from downtown. Far from having rounded out his game, Akenten has plenty of room for growth, particularly his skills with the basketball. A high-energy wing, Akenten gets after it on the glass and plays much bigger than his size. When he gets room to operate, Akenten impresses with his high-flying ability. Akenten flashed some impressive moves off the dribble and showcased the ability to hit tough shots. Nebraska recently offered and a number of other high-major teams will be watching this week. A very good sharpshooter, Beachler can be a killer from the outside and doesn’t need a lot of room to snap off his shot. He has really good size at 6-foot-4, 180-pounds. Beachler will wear down opponents with his ability to run through screens and spot up in transition. Holding 13 scholarship offers, Beachler is one of the top shooters in the Midwest. Bibbs holds offers from Buffalo, Toledo, South Dakota State, Illinois-Chicago, Furman, William & Mary, Drake, Belmont, Ball State, Buffalo, Wright State and IUPUI. A tremendous shooter, especially off ball screens, Bibbs fills it up from all over the floor. Still growing into his 6-foot-3, 170-pound frame, Bibbs has great length for the point guard position and uses that to whip passes through and over the defense. Able to play on and off the ball, Bibbs should see his stock rise this spring. Coleman is capable of putting up big numbers any time he steps on the floor. The 6-foot-6 forward is very aggressive around the basket and from mid-range and never lets the defense take a breath. One of the top scorers, rebounders, and shot blockers in the Association, Coleman is adding to his deep skill set and can consistently shoot the basketball from mid and three-point range. Fresh off his commitment to South Dakota State, Dillon is a versatile forward that can fill a variety of roles. Dillon does a great job of taking what the defense gives him. He’ll take bigger forwards out to the perimeter and look to shoot or drive. He also has the skills to play on the block and take advantage of mismatches against smaller players. Epps was the Co-MVP of the 17U Division in Dallas. An intriguing 6-foot-6 slasher, Epps definitely turned a corner in Session 2 and will look to continue his momentum when the Association returns. A double-double threat every time out, Epps not only puts the ball in the basket, but does the dirty work under the rim and keeps opponents off the glass. One of the most efficient big men in the Association, Hanson finishes very well around the rim. A skilled and strong big man, Hanson has shown the ability to play up a level. The South Dakota State commit is also a terrific rebounder and makes sure he does his job each time the ball comes off the rim. King and the Playground Warriors are arguably the favorites to emerge from the Open Division and give the NY2LA Association teams a run this weekend. The Wisconsin commit looks fully healthy after a wrist injury that plagued him in the spring. A versatile wing who can score from all three levels, King is a dangerous player with his ability to score inside and out. A player that does a little bit of everything on both ends of the floor, you’ll find King affecting the game in a variety of ways. A plus-length 6-foot-3 lead guard, Kirk was one of the breakout performers of the spring as he secured offers from the likes of American, Drake, Chicago State, Duquesne, UC-Davis, Southern Illinois, and Brown and he’s only getting started. Equipped with solid instincts, nice athleticism, an ability to break down opposing guards off the bounce, and the ability to score and create from multiple levels, Kirk continues to trend into the landscape of a high major lead guard and he’s just scratching the surface. Look for him to continue his assent as he continues to deliver high caliber efforts on the hardwood this summer. Knight has offers from Dartmouth, Army, Boston, Brown, Yale, Lafayette, Milwaukee, IUPUI, Green Bay, and Ohio. When Knight’s motor is going, he’s a tough player to handle. A long, athletic, 6-foot-6 forward, Knight is a powerful finisher at the rim and terrific shot blocker. He runs the floor as well as any big man in the Association and is a highlight waiting to happen when he gets up and down. Krueger is a consistent, steady shooter. Holding offers from Milwaukee, Green Bay, South Dakota State, and Lafayette, Krueger torched the nets in the spring. The 6-foot-7 swing man just never seems to have an off night and is also rounding out his game in the post as well. Lewis blew up in the spring and that could continue to July. 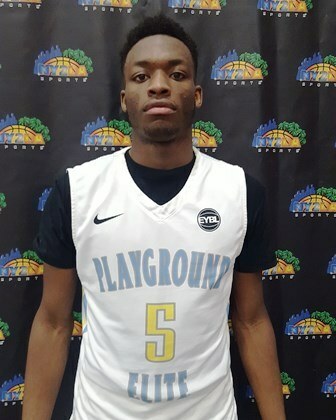 Illinois, UNLV, Minnesota, Georgia Tech, Memphis, DePaul, Auburn jumped on the bandwagon and other offers are coming. A 6-foot-5 wing that can do it all, Lewis gives 100 percent every minute he’s on the floor and never takes a play off. Lewis has improved his jump shot by a wide margin and opponents struggle to contain his slashing ability. Not afraid to do the dirty work, Lewis also makes the hustle plays that make his team successful. Loewe landed his first high major offer from Rutgers in the spring and could be looking for more in July. A terrific two-way player, Loewe will shut his man down defensively and is also an underrated scorer on the other end. The 6-foot-3 combo guard can play on or off the ball. A strong mid-range shooter and slasher, Loewe continues to prove he can produce on that end, despite being more known for his defense. Niego earned his first offer from Green Bay this summer. While he might not always put up big numbers, Niego just does everything well and can play so many roles. A 6-foot-8 point forward, Niego can run the offense, be a scorer, shoot the ball, defend, and patrol the paint. Niego has a big upside and value in so many ways at the next level as someone who can play three, maybe four positions. A senior that’s also attracting Division 1 attention, Ozier is a nice blend of scoring and passing from the point guard spot. Ozier can take on the scoring load when needed. A strong shooter and tough penetrator, Ozier can rack up points from beyond the arc and mid-range. Once he gets into the teeth of the defense, Ozier is a very good decision maker that can stifle a defense with his passing ability. Malik Parker – 2017 – PG – Martin Bros.
Parker is a high-scoring point guard that can rack up points in a hurry. A quick guard with a sweet shooting stroke, Parker can put the ball in the hoop at a high rate and has been known to put together some big performances. A threat to score from outside the paint, Parker is an excellent creator off the dribble. Pipes has done a great job this spring of transforming into more of a point guard and his leadership has been key for the Illinois Stars. While he’s shown the ability to run a team, Pipes can also take over a game offensively. He’s very difficult to stop one-on-one and defenders never seem to know what’s coming when the ball is in his hands. 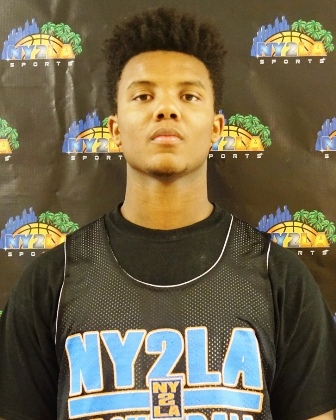 This spring, he’s started to draw attention from a number of Division 1 programs, including high major schools as well. Strom may end up playing football, but Strom has hardwood offers from Southern Illinois, UC-Davis, Wright State, San Diego, IUPUI, North Dakota, and South Dakota State. An athletic, 6-foot-8 forward, Strom is a potential mismatch nightmare at the next level with his ability to play all over the floor. One of the biggest association stock boosters from the spring, Wright has offers from Loyola (MD), Northeastern, Elon, Green Bay, North Dakota, Furman, and North Dakota State. Wright stretches the floor and shoots a high percentage from the field. Also a terrific rebounder for his size, Wright has one of the top overall floor impact ratings in the Association. An intriguing 6-foot-6, 175-pound shooting guard, Armstrong can be a deadly outside shooter. Also a slashing threat, Armstrong uses his body very well at the rim to shield defenders and power through contact. A player that likes to get up and down, Armstrong has a high motor that allows him to make plays around the basket on both ends of the court. Curtis continues to prove he’s worthy of picking up some offers this summer. One of the most aggressive guards you’ll find, Curtis is relentless when attacking the rim and finishes through or over defenders consistently. He came in without much of a jump shot, but clearly has worked very hard on that part of his game and continues to knock down shots consistently. A 6-foot-2 guard who can handle the point duties, Curtis is drawing a good mixture of high and mid-major looks this summer. A fast, explosive guard, Dee keeps defenders guessing with his ability off the bounce. Dee is very strong for his size and attacks the gaps with a vengeance. Dee can also invert himself in the offense and post up guards his size or even bigger than him. Foster Jr. has offers from UTEP and Milwaukee. A handful of high major programs are also interested in the 6-foot-4 wing. Foster Jr. is far from a finished product and his best days are definitely ahead. Haliburton earned a much deserved offer from IUPUI in June. A number of mid-major schools are also very interested at this time. A high-IQ point guard that does a tremendous job of running the show, Haliburton wins a lot of games and elevates the players around him. Also able to carry the load offensively when needed, Haliburton is a knock-down three-point shooter and his long wingspan turns defense into offense. An electrifying scorer, no shot is too big or too difficult for Johal. Holding offers from Jackson State and Milwaukee, Johal is coming off a big sophomore season and will play up a level at the Swish N’ Dish. A dynamic playmaker off the bounce, Johal can shake and bake with the best of them. King might not look the part of a big time scorer, but make no mistake, he’s got big time a game. A high volume shooter, King put up some huge performances as a sophomore. Able to score off the dribble with unlimited range, King fills it up with hot shooting. An all-around solid playmaker, King commands so much attention when the ball is in his hands, allowing him to easily create for others. A leader, scorer, and facilitator, Listau has offers from South Dakota State, Milwaukee, and Green Bay. Listau is a tremendous competitor that gets the job done on both ends of the floor. He knocks down open triples at a high rate and the lefty can finish well at the rim. Listau is also a terrific on-ball defender that’s shut down some of the top players in the Midwest this spring. One of the most versatile players in the Midwest, Sabin is a potential mismatch nightmare if he can reach his high ceiling. A skilled 6-foot-7 forward that can handle and shoot the basketball, Sabin is a big matchup problem. An unselfish star that loves to facilitate from the top of the key, Sabin fills a variety of roles for the Wisconsin Shooters. A number of Division 1 prospects are taking a hard look at Sabin this summer. Shabazz is flying way under the radar, but showed some real promise in the spring. He’s very raw, but was surprisingly consistent from mid and even three-point range. Shabazz can bring people out of the paint and either attack off the dribble or pull up and shoot off the bounce. A long, 6-foot-6 forward, Shabazz is also an exceptional shot blocker and rim protector. A talented guard who can score and create, Watson has size, length, athleticism, and skill that he pairs with instincts and feel to form a solid prospect on the rise. His size gives opposing guards problems and his ability to contribute across the board makes him a force every time he takes the floor. Watson earned an offer from Toledo over the summer and a handful of other Division 1 programs appear very interested. Young can flat out light up the scoreboard. Young can fill it up from mid and three-point range. The 6-foot-3 sophomore made buckets from all over the floor. He can catch and shoot and also pull-up off the bounce and hit contested and/or off-balance shots. Young has been pretty much unstoppable throughout the Association when the ball was in his hands. A long combo guard with a really nice frame, Anderson has some intriguing measurables early in his career. A strong pick n’ roll guard, Anderson comes off screens with the purpose and usually makes the right play. Anderson plays really well around the rim, using a soft touch on his floater to scoop the ball over the top of the defense. Based on his play in the spring, Anderson appears to be a prospect that’s going to get a lot better in the coming years. Days enters July on a roll. Picking up offers from Illinois, DePaul, and Marquette in June, Days is also attracting attention from numerous Big Ten programs and some of college basketball’s bluebloods. While he’s very raw and has a long way to go, Days made a lot of strides in the spring and looks well on his way to potentially being a top prospect in the 2019 class. A 6-foot-9 forward who can handle and shoot the basketball, Days has about as high of an upside as you’ll find. An instinctive playmaker at the guard position, Dobbs might not look all that imposing, but has some big time game. A player that torched some of the top teams in the GNBA circuit a year ago, Dobbs is a tremendous passer and his feel for the game is second to none. Dobbs has good feet in traffic and can maneuver around bigger defenders. Also a good three-point shooter, Dobbs doesn’t have a lot of chinks in his armor. Domask won a state championship as a freshman being the focal point of his team. One of the most productive and skilled freshman in the Midwest, Domask always seems to put up big numbers and has done it by simplifying the game. A 6-foot-4 wing, Domask is never going to wow you with athleticism or highlight plays, but nobody can stop him because he’s so fundamentally sound. Domask is an excellent post-up player and can also torch people from beyond the arc. A sophomore to keep tabs on, Foster is a good blend of finesse and physicality. The 6-foot-9 forward can stretch the floor and knock down shots from the perimeter and mid-range effectively. He’ll also punish small defenders on the block and isn’t afraid to play through the chest of people. Foster is a nice pick n’ roll big man that can pop out for shots or catch at the high post and make a move to the basket. 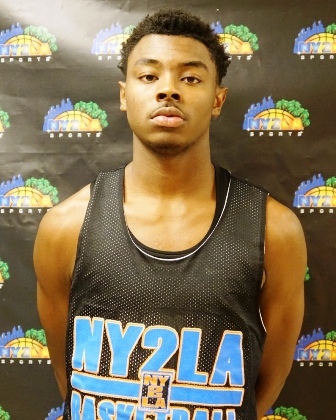 An intriguing 6-foot-1 combo guard, Jenkins is very smooth and a terrific dribble penetrator. A player that can hang and finish around the rim, Jenkins was exciting to watch in the spring. Jenkins has the ability to put up major points in a hurry and definitely an under the radar player to know in the coming years. Jones has a very high ceiling and is about as athletic of a freshman as you can find. 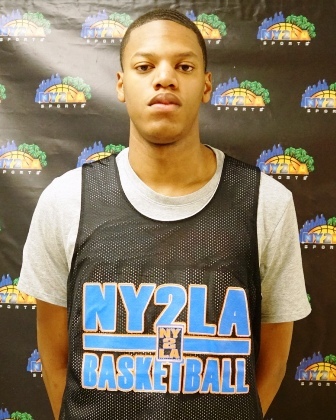 A 6-foot-5 wing, Jones has tremendous leaping ability. His skillset is very raw, but Jones flashes the ability to do some special things with the basketball. Jones can score from all over the floor. He needs to improve his ball handling and shooting ability, but he showed the ability to make plays offensively when he had an opening. One thing working for Jones at this time is his motor. A kid that never stops moving, Jones is willing to do the dirty work under the glass, run the floor in transition, and chase the ball on defense. One of the most dominant players in his age group, Long puts up huge numbers across the board. A physical, athletic freshman who can shoot the basketball, Long is an aggressive scorer with a killer instinct. More physically developed than most prospects of his age, Long will dominant a game in transition, using his length and strength to finish around the rim with ease. The younger brother of Xavier center Sean O’Mara, Shane is on his way to being a good prospect in the 2019 class. A 6-foot-5 big man who can step out and shoot the basketball, O’Mara has a pretty stroke from downtown. He’s very effective in the pick n’ roll game and also looks like he’ll develop a solid package down on the block. 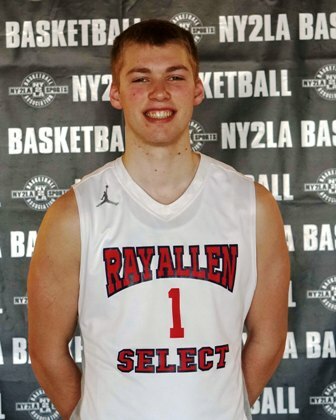 Aidan Vanderloo – 2019 – G – Martin Bros.
One of the many budding stars in the Midwest that came up through the GNBA circuit, Vanderloo is a crafty guard that knows how to free himself and create offense. Vanderloo has the potential to light it up from downtown, but loves to change things up and get to the basket against defenses when they overcommit.